This newly remodeled Comfort Inn offers FREE wireless Internet access throughout the hotel. All rooms have new Serta pillow-top mattresses as well as a microwave and refrigerator, iron/board, and coffee maker We have several rooms with in-room hot tubs We serve free continental breakfast featuring Hot Belgian Waffles daily. We offer an exercise room, a meeting room, and a seasonal outdoor pool. 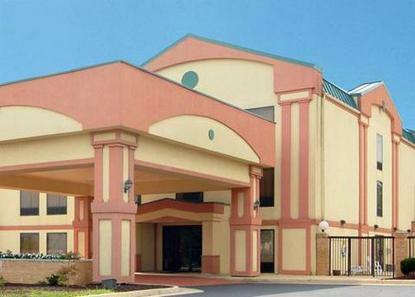 We are conveniently located off I-64, in close proximity to I-81 as well as many restaurants and shopping outlets.